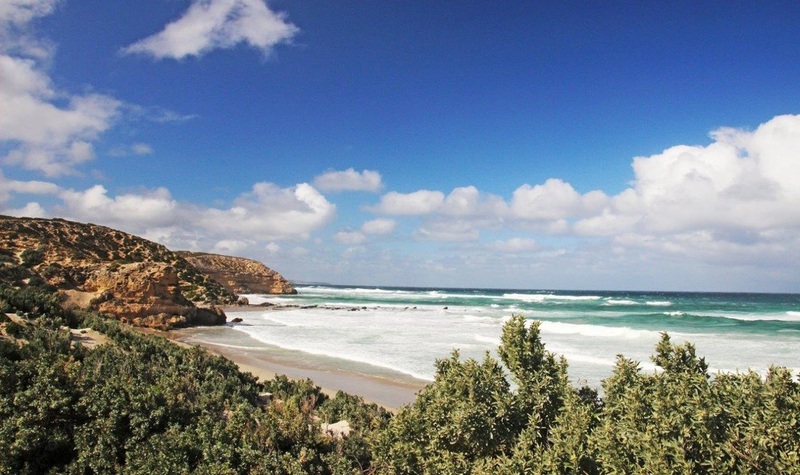 Kangaroo Island Tourism has a tag line: …"Just across the water, but a world away". And that is exactly how it feels. Widely acclaimed as Australia's Galapagos and located just over 110km south of Adelaide off the coast of South Australia, Kangaroo island is the third largest of Australia's islands and a wildlife lovers paradise. 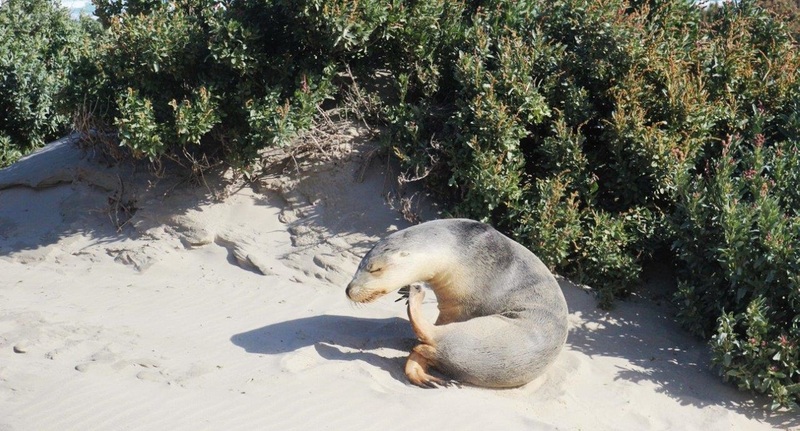 Kangaroos, koalas, sea-lions, seals, echidnas, penguins and a myriad of birdlife. The island is also known for its food and wine and interestingly for its honey. The Ligurian bee was introduced onto the island in the 19th century and it is thought that Kangaroo Island now has the world's only pure strain producing pure Ligurian honey. On my recent trip to Adelaide I was determined to visit this intriguing place but the question was: How? I was in Adelaide for only 3 nights and 2 days. 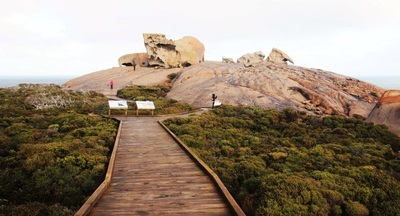 Kangaroo Island is 110km away from Adelaide. The island itself is big with 510km of coastline. I had no car. But I was on a mission and after an internet search I found an organised day-trip that would fit the bill. One very, very long day-trip. There is a whole range of tours you can choose, from food and wine trails to wildlife tours. I chose to take the one-day nature and wildlife ﻿Kangaroo Island Experience﻿ through Adelaide Sightseeing. This tour promises to give you a taste of the island's nature-based highlights in one day. And so I found myself on the deserted streets of Adelaide at 6am on a Sunday morning waiting for a tour bus. 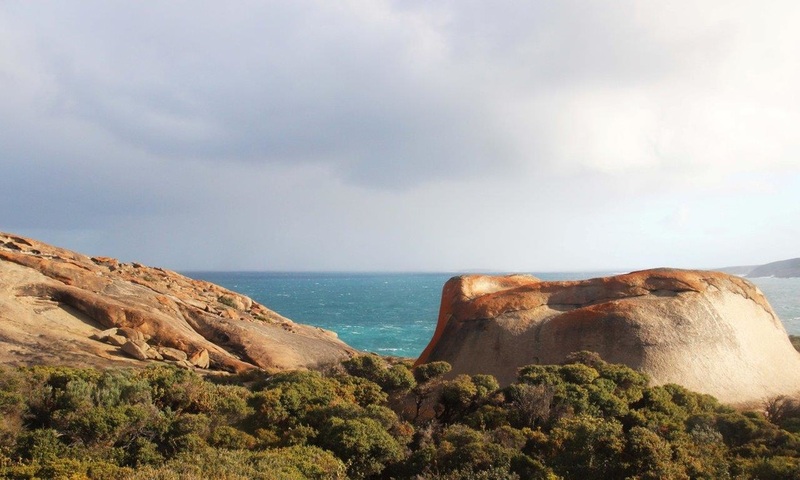 The tour starts with a 90 minute drive through the folded hills of the Fleurieu Peninsula. The views out of the bus window are stunning as the landscape is bathed in the early morning light. I would think that this area would be a great destination in itself with its wineries and wild coastline. But we are headed to Cape Jervis where we will board the Sealink Ferry to make the 45 minute crossing to Kangaroo Island. On arrival at Penneshaw, the island's main town and ferry port, we board our tour bus and are on our way. 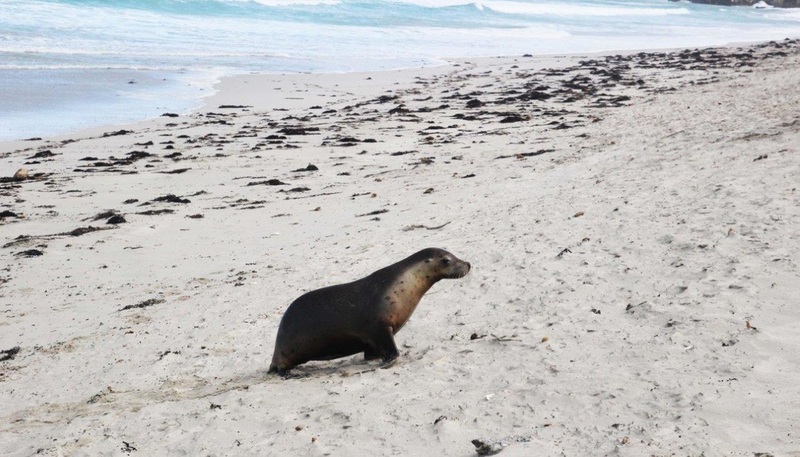 Our first stop is arguably the island's most famous attraction - Seal Bay and an encounter with the island's rare Australian Sea-lion. Seal Bay is located on the southern side of the island and it feels wild. This day is particularly windy and standing here you easily understand that this island faces off into the Southern Ocean, next stop Antarctica. 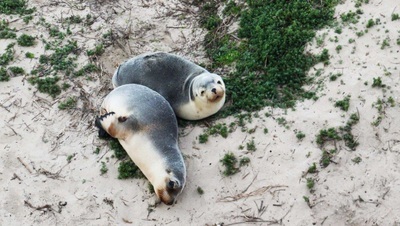 This beautiful expanse of emerald coast is home to one of the largest colonies of sea-lions in Australia. Our tour guide leaves us in the hands of the park-ranger and we head down through the dunes to the purpose-built look-out and then to the beach. 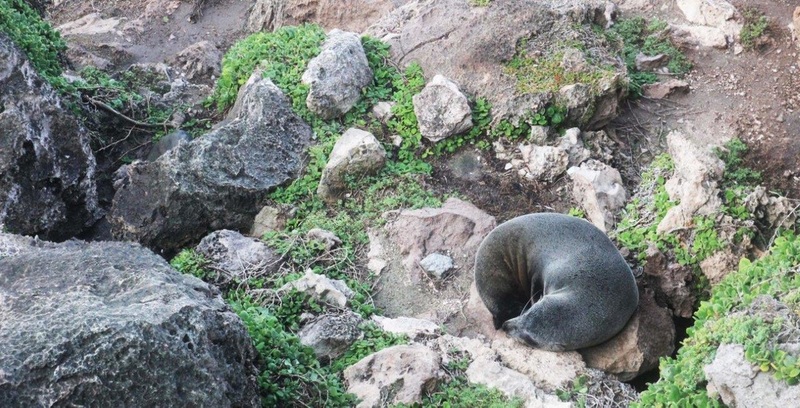 Although not necessarily aggressive, sea-lions are still wild animals and we are advised to stay together in a group. However, seeing these velvety-coated creatures lazing about in the sand dunes amongst the salt-bush, it's hard to believe they could present a danger. But don't be fooled - apparently these creatures can run - and fast. And they have very sharp teeth. There is plenty of time to spend with the sea-lions, take photographs and ask questions of the ranger. Back on the tour bus we head to a place almost guaranteed to offer up sightings of one of Australia's most iconic and elusive native animals - the Koala. Although not officially listed as endangered, the mainland koala population is vulnerable, threatened by disease and loss of habitat. But remarkably not so here on Kangaroo Island. 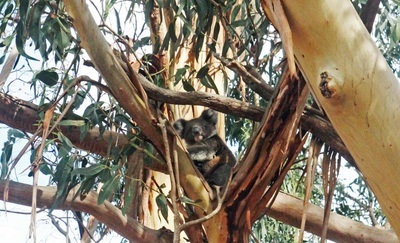 Koalas were introduced onto the island in the 1920s and have thrived mostly due to the lack of any natural predator. These cuddly looking creatures have however caused problems on the island due to over population. 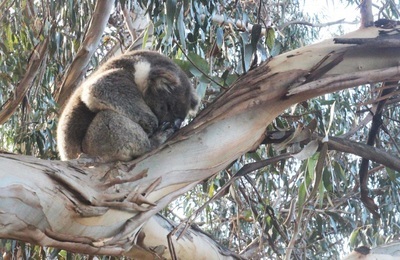 Tree damage caused by koala overbrowsing has become a major problem for the island and consequently they have introduced an extensive - and very expensive - sterilisation program. To date though, the population is still greater than that which is sustainable for the island flora. After a tasty buffet lunch (included in the tour) we arrive at ﻿Hanson Bay Wildlife Sanctuary﻿. We take a short stroll through an avenue of eucalyptus trees with the instruction to 'look up'. 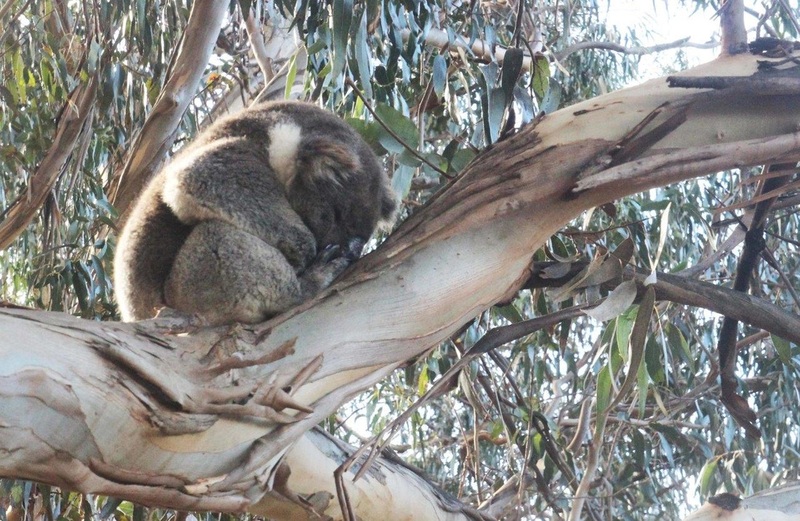 At first the koalas are difficult to see as they are well camouflaged and, at this time of day, usually sleepy-drunk on the eucalyptus oil from the leaves they munch on all day. But eventually we spot them, one after the other, eating, sleeping and some jumping from branch to branch and we are lucky enough to see both adults and babies. 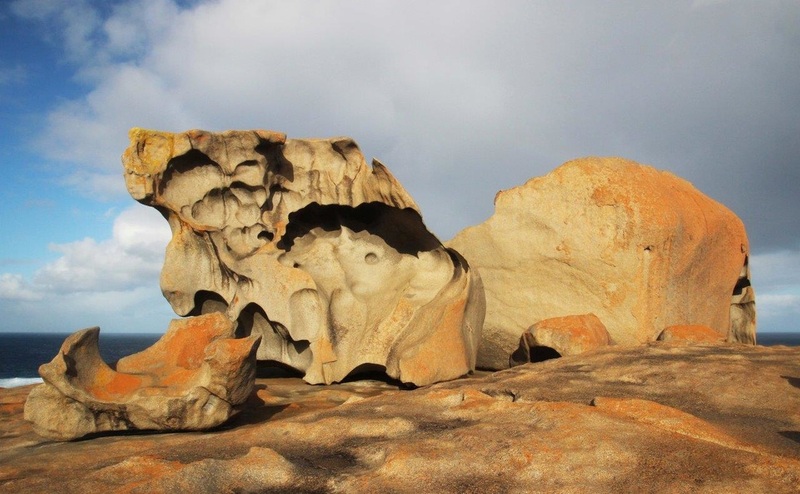 After our visit with the koalas we head down to the Flinders Chase National Park to visit some of this island's rugged and wild coastline - Remarkable Rocks and Admiral's Arch. 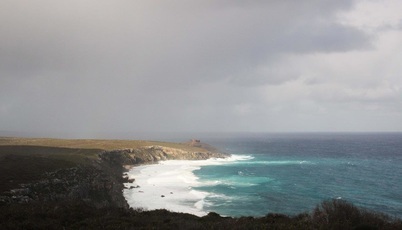 As we approach Remarkable Rocks the weather has closed in and the skies are looking stormy. Rain pelts the bus windows and rainbows arch across the ocean. The light is spectacular as we drive towards the precariously balanced granite boulders which appear to be suspended above the ocean. Covered in lichen, the rocks glow orange in the sharp, stormy light. 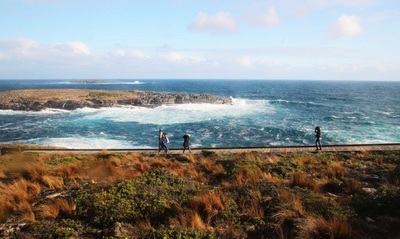 Well set up with a boardwalk and interpretation signs the rocks also offer a spectacular vantage point for views of the Casuarina Islets and the southern coast of the Island. Word of warning though, a number of people have died here after slipping from the rocks into the rough seas. The last was in 2003 when a German tourist slipped into the ocean. He was lucky enough to scramble to safety but sadly two men who went to his aid were swept from the rocks and drowned. So it is a very beautiful spot but do take care. Even on calm days the seas on this side of the island can be treacherous. Reluctantly back on the bus we head towards our last stop before the long journey back to Adelaide - Admiral's Arch. Located at Cape du Couedic this is arguably the most stunning coast we have viewed so far. And the weather is wild - strong winds, rough seas and scudding rain - and in a word, exhilarating. 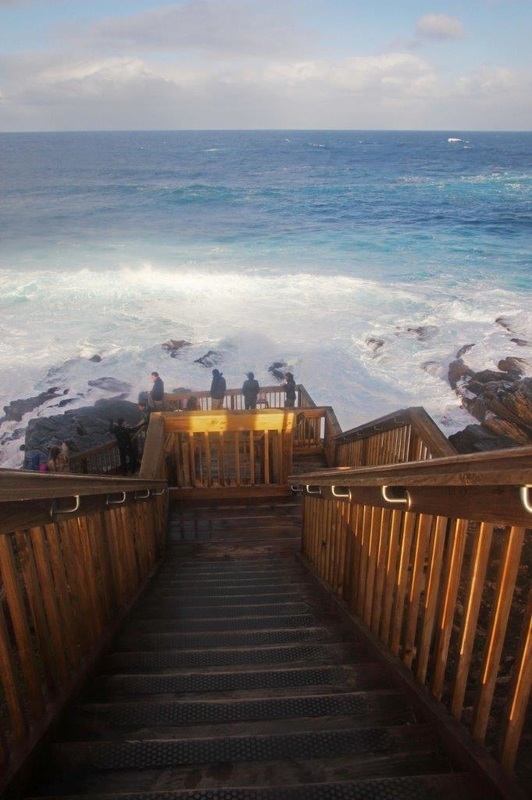 A viewing platform and wooden boardwalk lead across the cliff face and down to the spectacular rock formation that is Admiral's Arch - a natural rock formation sculpted over thousands of years by the wind, rain and sea. And more wildlife - the cliff sides are dotted with sleepy New Zealand fur seals, huddled together protectively from the wild weather. By the time we are back on the bus the afternoon light is fading and we start our journey back around the island to Penneshaw to catch the return ferry to the mainland and then onward back to Adelaide. It is almost 10:30pm by the time I am dropped off at my hotel - tired but exhilarated. 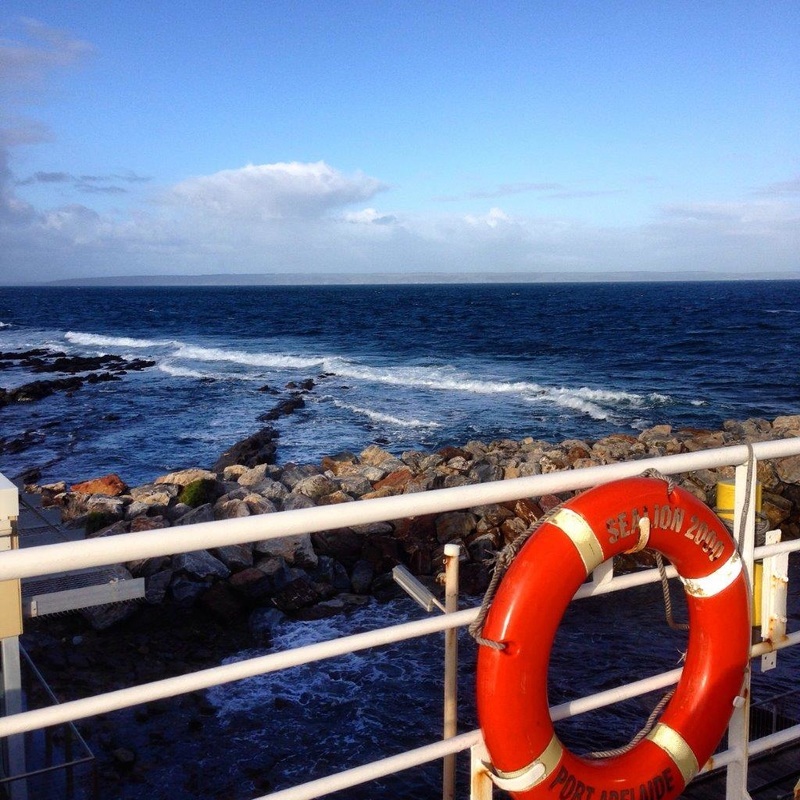 It may have been a full on day of sightseeing and perhaps for some a little rushed but it gave a great preview of what Kangaroo Island is all about and I can't wait to go back.